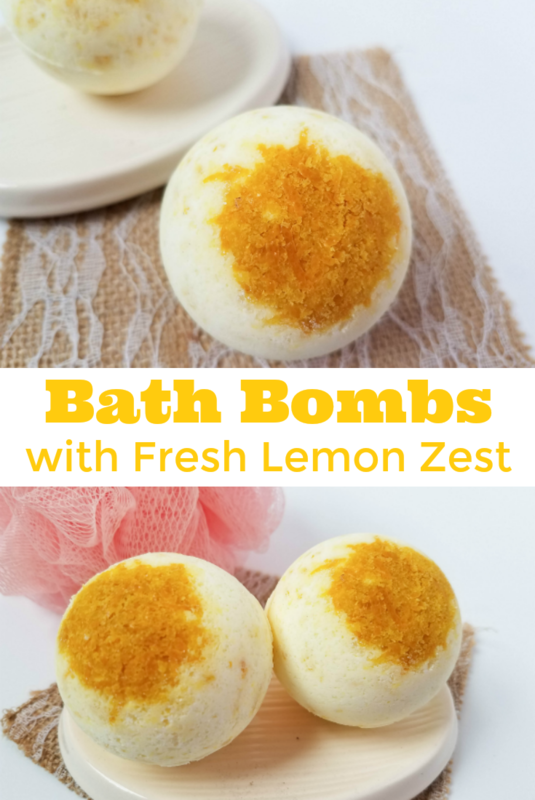 Fresh Lemon Zest Bath Bombs-How To Make Bath Bombs! These days all the rage is bath bombs. I know after a long day of work, there is nothing more relaxing than sitting in a hot bath, reading a novel. I am obsessed with bath bombs in my bath but sometimes they are just too darn expensive. 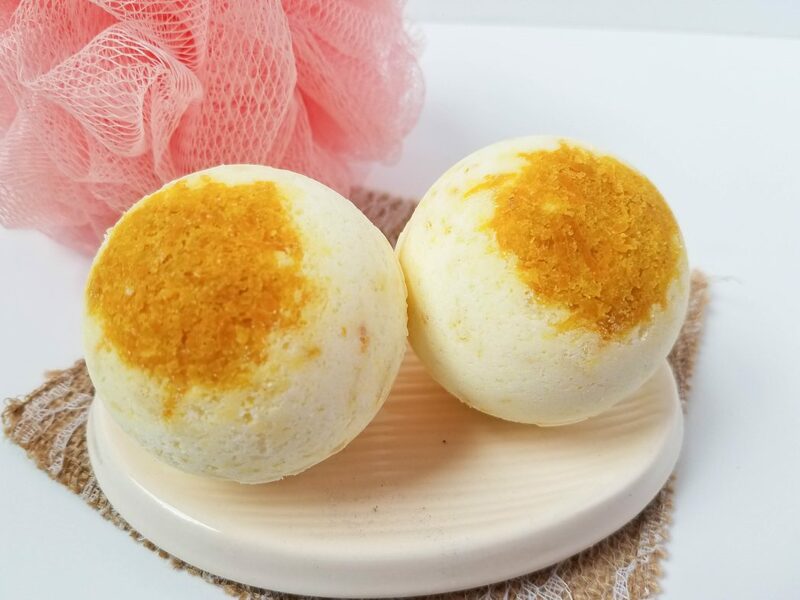 Now I can make my own with these Fresh Lemon Zest Bath Bombs that are homemade and very easy to make! 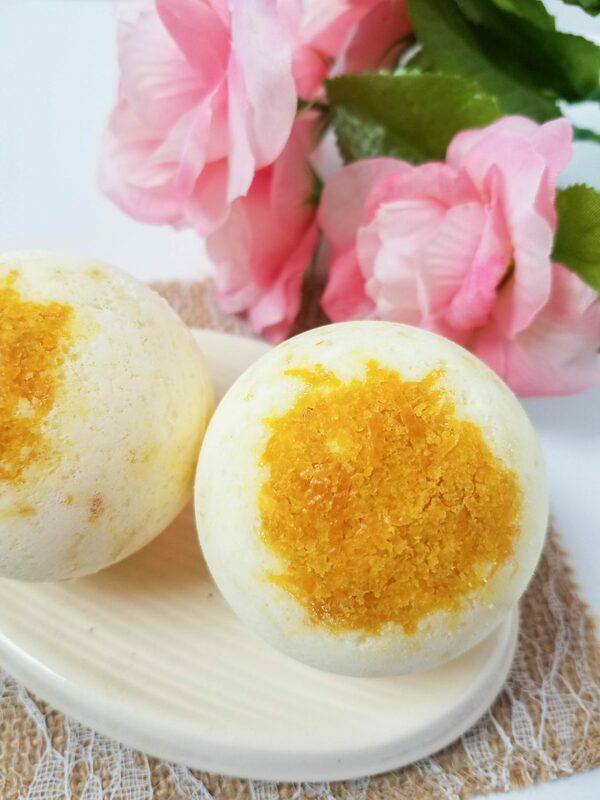 How to Make Bath Bombs at home is something I now solved! Zest a lemon, enough to get 2 tablespoons of lemon zest. Pat dry between paper towels. 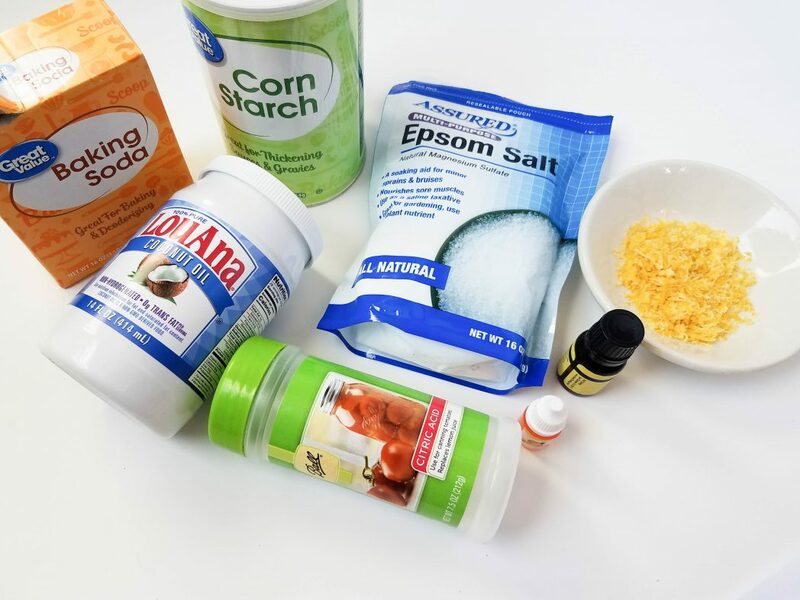 Mix the dry ingredients first (Epsom salt, baking soda, cornstarch and citric acid), using the whisk. Mix well to ensure there are no clumps. If the coconut oil is not already liquid, put it in a small glass bowl and microwave for 30 seconds. 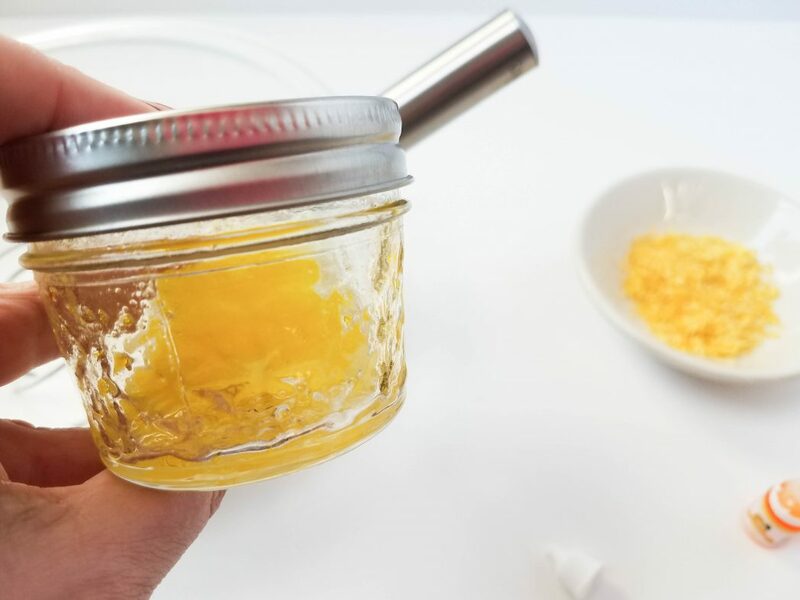 Pour the wet ingredients (coconut oil, water, soap coloring and essential oil) into jar, secure the lid and shake well. Very slowly add the liquid mixture to the dry mixture, about a few drops at time, while whisking. If you’re not pouring slowly enough, the mixture will start to fizz and you don’t want that to happen. 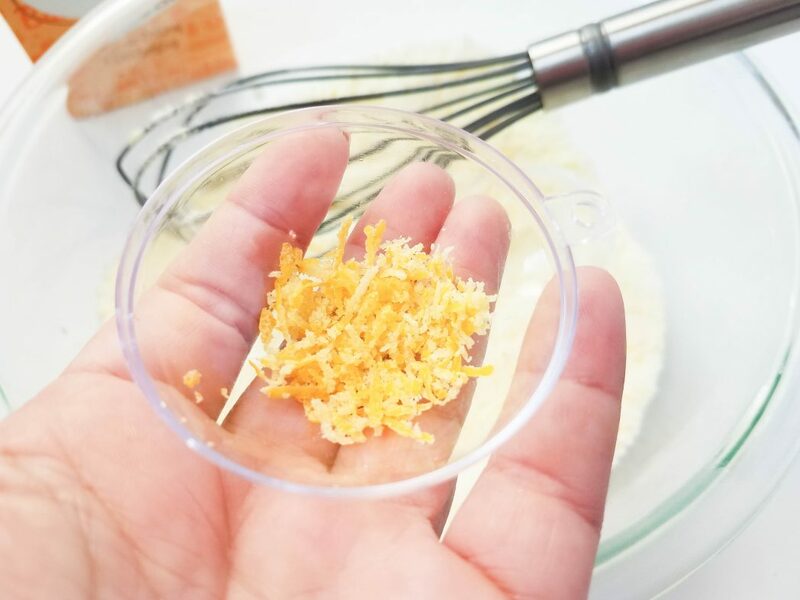 Pour 1 tablespoon of lemon zest in, mix well. 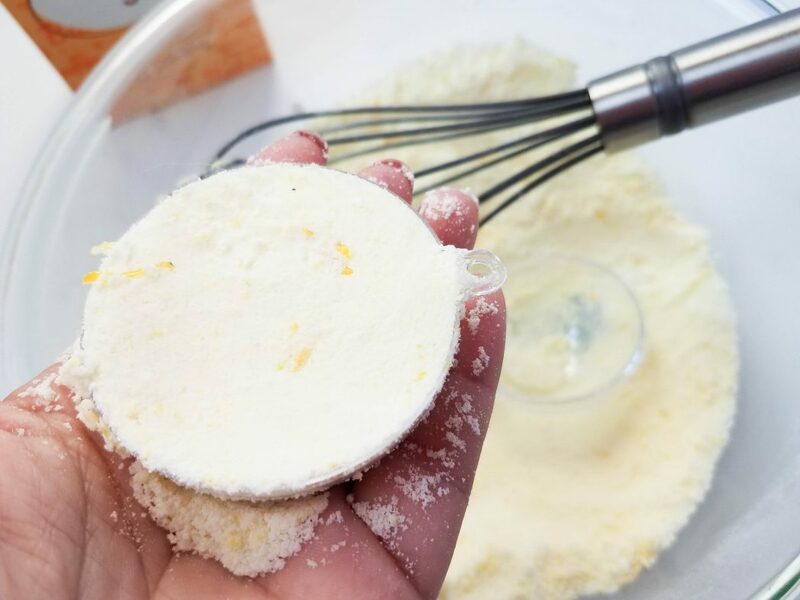 Put some of the lemon zest into one side of each mold. Immediately fill the molds with the mixture, firmly stuffing each side full. Secure both parts of the mold together and let set. I always give it about a day, just to be on the safe side. 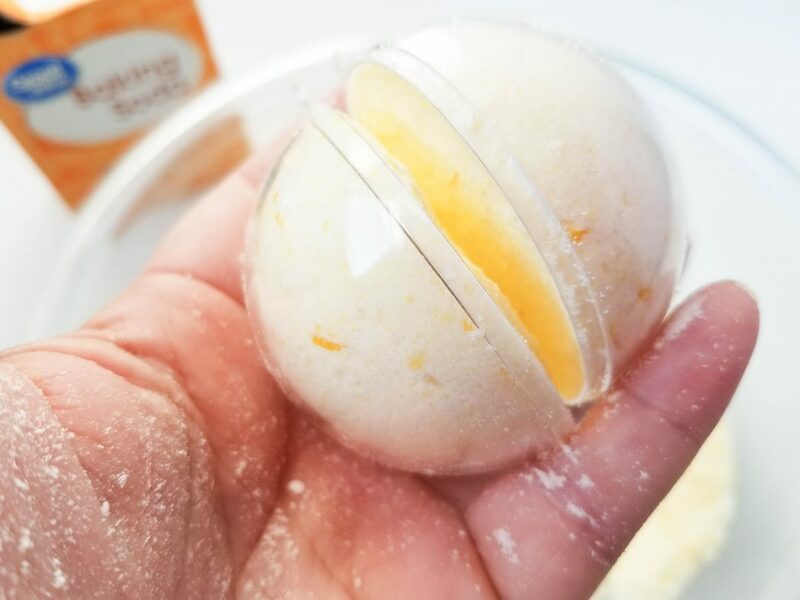 Carefully release bath bombs from molds and put into an airtight container, or individual cello bags. Now go make some, take that bath, and enjoy! Share this How to Make Bath Bombs with friends and family! They would make perfect gifts! Justice Studios Presents Ultra Squad, Adventures Under The StrangeBow.